In choosing the right rivet for your needs, numerous factors must be considered. While price is certainly an important consideration, it is not the only factor that should determine your choice of rivets. Using the least expensive rivet might seem as though it would save your company money in the beginning, but in the end, a cheaply produced rivet will likely cost more down the line. The best strategy for choosing a rivet supplier should take into account a variety of factors, including versatility, material options, and engineering experience. Buyers should begin by seeking out a rivet supplier that carries an extensive range of rivet materials and sizes. It is not uncommon for some suppliers to avoid offering certain types of materials because it is more difficult to produce rivets from those materials. A reputable supplier will provide the most common types of materials and present the opportunity for custom engineered rivets. 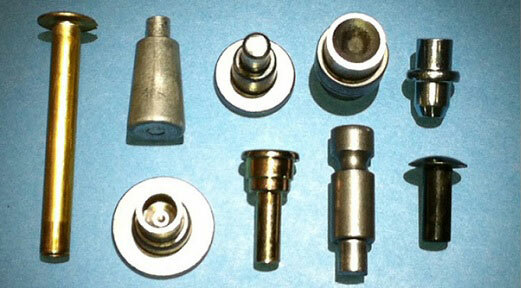 In addition, buyers should also consider the different types of rivets offered by the supplier. For instance, does the supplier provide both flat head rivets and oval head rivets? Does the supplier offer solid and semi-turbular rivets? Is the supplier willing to work with you in order to ensure that your specifications are met? You should also consider whether the rivet supplier offers cold heading. As part of the cold heading process, parts can be manufactured at high speed by changing the shape of the unheated wire blank that is inserted into a die. When the blank is subjected to a blow, the component is shaped within the die. With the cold heading manufacturing process, there is no resulting scrap loss, which is a common problem with machined components. This helps to keep costs low. Additionally, it is possible to incorporate part pieces into the die that would normally require further machining. Rivets form a vital component in many industries. As such, it is imperative to ensure that you choose the right rivets supplier. Taking these elements into consideration will assist you in choosing a quality supplier who will provide the best value for the price.